In our website you can buy online all the Barcelona Handball tickets, enter now and check the best prices! Thanks to the simplicity of our website you will be able to see one of the best teams in Europe at the Palau Blaugrana . Without a doubt, Barça is the clear dominator of the Spanish handball, that's why the spectacle is always assured. The level of the staff coupled with the credibility of an entity such as FC Barcelona ensures that the fans of this sport will live a unique experience, looking closely at their idols. 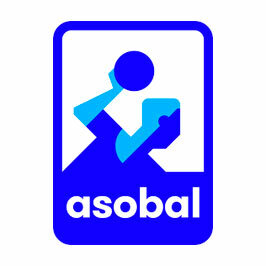 The best players in the world often go through this team, as it is not only a benchmark in the Asobal league but is always a contender for everything in continental competitions. The knowledge of the market as well as the know-how of its technical staff allow Palau Blaugrana to witness numerous exhibitions throughout the year. For this reason, from our website we want to bring you the possibility of experiencing this show in the first person at an unbeatable price. Although handball does not carry as many masses as football or basketball, there is no discussion of the impact that this team has among its fans. Likewise, you don't even need to be a great connoisseur of this sport to be able to appreciate its spectacularity. The physical capacity of the players is worth mentioning and when they come out on the counterattack you see real beasts going towards the opponent's goal in search of the goal. It doesn't matter what the opponent is: Barcelona always gives 100% on the court and it's that they have a faithful and generous fans that cheer up to the maximum in each match. The union with the public is wonderful and everyone who comes to watch a handball match is fascinated with the spectacle that is lived both at the level of play and in the stands. Without a doubt, Barça has one of the best fans of this sport and both experts and beginners enjoy the atmosphere generated in the Palau Blaugrana. Handball is a sport that hooks a lot and every goal and every stop is a real adrenaline rush for fans. Logically, being present live and live magnifies these sensations and we recommend everyone not to miss the opportunity to buy tickets to see the best handball in Europe. Thanks to our purchase system you will not have to fear for the security of your data or your money , since the user experience is unbeatable and you will quickly ensure the possibility of seeing the great world cracks of this sport. Consult the dates of the calendar and choose the match of Barcelona that better comes . Being a team full of stars the spectacle is assured and we cannot think of a more exciting leisure alternative than this. And if you don't believe us, find out for yourself!